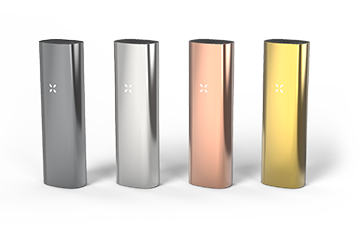 The Pax 2 comes in four different colors. Update: Ploom has released the Pax 3. Check out the review here. The Pax 2 vaporizer is beautiful, elegant, discrete, and arguably a terrific designed piece of technology. But it leaves something to be desired. 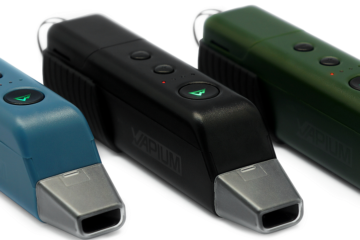 The Pax 2 is the next generation of vaporizer from Ploom. 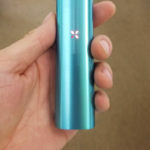 The original Pax was one of the smallest and most powerful vaporizers available, and the Pax 2 is an updated version of that classic device with far more utility and design packed into the handheld unit. The Pax 2 improves upon the original Pax in a number of ways, including the size of the loading chamber, the size of the device itself, the weight of the unit, and the battery utility. 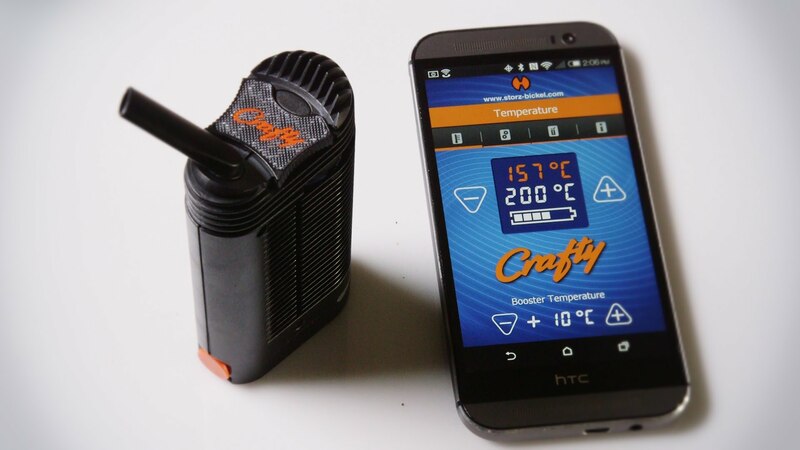 Every factor that determines the quality of vapor produced by the device has been upgraded. Accellerometer knows when you raise it to your lips and when it’s idle the heat lowers, which helps preserve your precious herbs. Built in games! We won’t spoil the surprise, but let’s just say there’s some hidden features you’ll want to discover. The Pax 2 is a slick looking vaporizer, easy to use, and nice to hold. The design makes it easier to use than the original Pax, and they also added some functions to make it much more intuitive. If you used the first version, you know it had a retractable mouthpiece that tends to stick after several uses. You’d need to clean it regularly, and it was a finicky unit at best, often causing more frustration than it should. The original Pax also had its heat level indicator concealed by the mouthpiece. Not very convenient for quick changes. The Pax 2 no longer has a mechanical mouthpiece attachment that can malfunction. Instead Ploom opted for a magnetic enclosure that fits flush with the unit. This functions MUCH better than the older device. 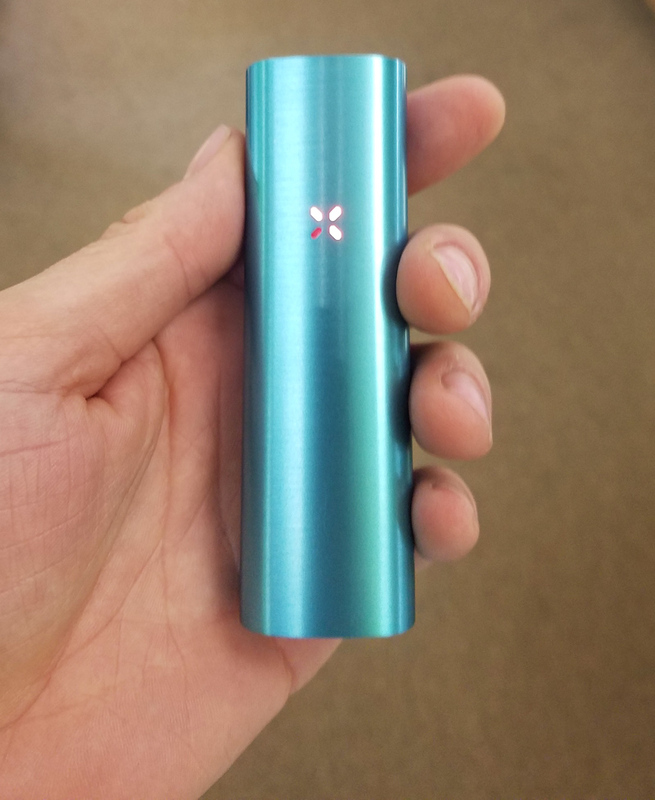 Slightly smaller than the original design, the new Pax 2 comfortably fits in the palm of your hand. 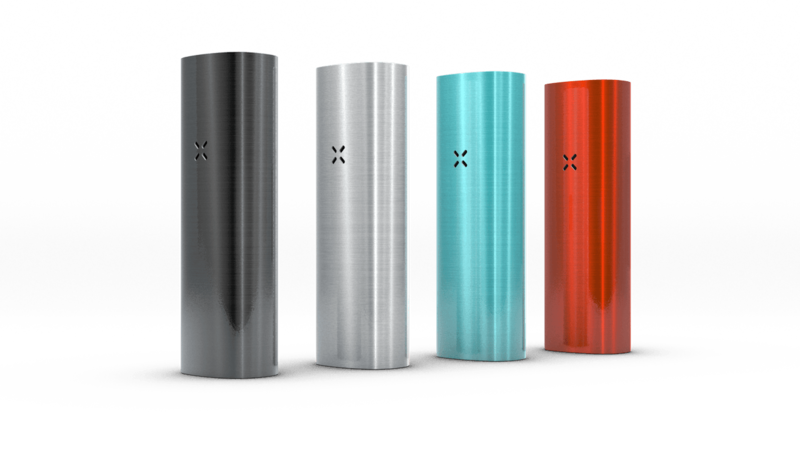 The Pax 2 is made from a durable aluminum outer casing and a medical-grade stainless steel interior. Every plastic component is produced using plastics that are certified as food-safe. The Pax 2 is actually smaller than the original Pax, yet it produces amazing vapor. 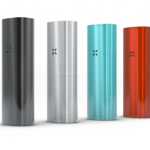 The construction of this device is unmatched for its quality, and the Pax 2 comes in multiple colors including Topaz, Platinum, Charcoal, and Flare. The Pax 2 is far more comprehensive than the original Pax, and it requires no specialized maintenance in order to provide continued use. Since the device uses a new magnetic mouth enclosure, it is easier to remove for cleaning. The internal herb chamber is now larger, which means it is easier to clean with a small swab or brush. The firing button is no longer located beneath the mouthpiece, so it doesn’t have to be removed during the cleaning process. The primary mode of maintenance for the Pax 2 is recharging the battery. The device has no moving mechanical parts, so repairs are rarely necessary. The necessity for cleaning is kept to a minimum thanks to the innovative design. A lithium ion battery powers the Pax 2, and the battery is fully rechargeable with a USB power cord. 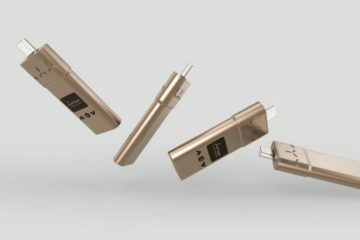 USB is one of the most common recharging mediums in the world, so you will be able to charge the device just about anywhere you go. The battery takes about 3 hours to completely charge, and it can be used for several sessions amounting to multiple hours of use per charge. The battery is internal, which means you don’t have to worry about removing it to recharge the device. Simply plug the device into the charging cord and let it rest while it recharges. The LED light on the front of the device can be used to display battery power level so you never have to worry about being surprised by a dead battery. The Pax 2 is a conduction vaporizer, so it produces vapor that is of very high quality for a dry herb device. 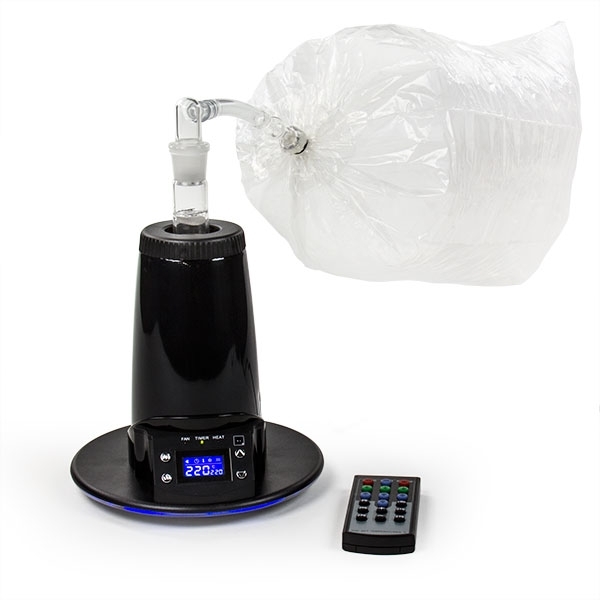 While convection vaporizers are known to produce vapor that is of slightly higher quality, this conduction device is a top-tier vaporizer that many prefer for its taste. However, the vapor density does leave something to be desired. You need to pull long, hard, and steadily on the highest setting to get a decent cloud. 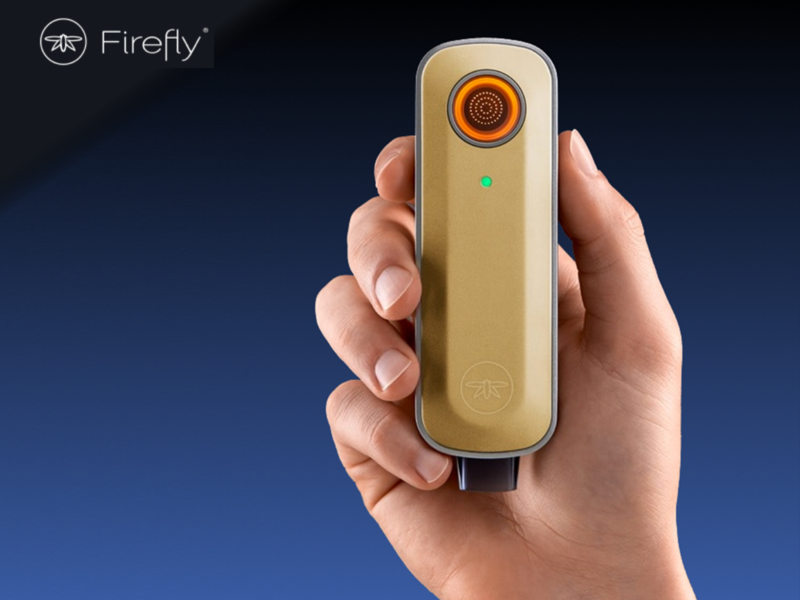 Other vaporizers like the Haze V3, Vapium Summit, and even Pax’s competitor the Firefly 2 seem to deliver better cloud production. Which isn’t to say we were disappointed with the Pax. The quality of the vapor will largely depend on the quality of the dried aromatic blend used in the heating chamber and the cleanliness of the chamber. If the chamber has residue built up from lack of swabbing, it is possible the vapor quality could decrease since more than just raw material is being vaporized. The best way to keep the vapor quality at its highest level is to swab the heating chamber between every use, or at least every other use. Every Pax 2 device created by Pax Labs Inc. includes a 10 year warranty against any defects in the original device purchased by the original purchaser. Defects include those in the materials used to build the unit or in the craftsmanship itself. The device must remain under normal usage conditions throughout its life in order to avoid voiding the warranty. Pax Labs Inc. will either repair or replace the product with a new or equally valuable device. The warranty does not include wear and tear to the battery, degradation of charge capacity, or neglect of the heating chamber cleanliness. Such inaction on the part of the customer is what creates the fault in those cases. Pax 2 is only available in the United States and Canada, and their warranty is only valid in those locations. The Pax 2 has a manufacturer’s suggested retail price of $279.00, which is a steal for such a premium device used to vaporize dried herbs on the go. This is considerably less than it’s #1 competitor, the Firefly 2 which retails for $329. No good portable vape would be complete without some helpful tools to make your life easier, and just like with their first version, the new Pax vaporizer comes bundled with some useful things. The device has a number of available accessories to complement its function and style. There are full accessory kits, replacement chargers, cleaning swabs, replacement mouthpieces, replacement heating chamber lids, screens, and many others. While the device is a little expensive, it is more than worth the added cost thanks to the long warranty and the premium quality of the device. Vapeworld is the most reliable vendor out there, and with the release of the Pax 3 they just dropped the price on the Pax 2 to $199! The Pax 2 shows great improvement over the original model, making it easier to use, easier to clean, smaller, and altogether better in every way.